Vacation rental homes have been a “thing” for a long time. I can remember renting homes in North Carolina,Delaware,New Jersey etc. for a get-a-way vacation in the 1970s. So this general marketplace is certainly not new. Back then I’d research the local area and try to find a local realty company in order to get a brochure. It was the only pathway. But as the growth in available properties accelerated, the homeowners began looking for alternatives to the realty companies whose fees started rising. The increased costs put an added strain on the financial aspect of vacation home rentals. With more and more homes being added to the inventory, the owners had to be aware of the inevitable price competition. Once the technologies of the late 1990s started to proliferate, the owners began to find their answers. Offering their homes for rent directly to the renters seemed to create the best of all worlds. The owners could control the management of their homes and the guests would realize the lower fees by cutting out the middle men. The realty companies certainly had the market power because they had the databases of previous renters and brand recognition. They could “out market” the smaller home owners and drive more traffic. But then on-line internet companies like AirBnB , Homeaway, VRBO emerged. They functioned as the marketing arm for that sub-segment of the market — those owners wishing to rent directly and those renters comfortable with renting directly. Owners maintained control over their calendars,fees,money transactions and guests. The renters had some options with respect to finding suitable homes and they could receive, almost instantaneously, a plethora of choices without paying extraneous fees. Like all good things, this too ended. These internet companies became too greedy,just as those realty companies did. They wanted to control the whole market. They really do try to move the homeowners to charge the fees that they suggest. They do not want to be just marketing companies. They want to be booking companies or “realty companies on-line”. They want to cut the homeowner out of the transaction and they want to charge the renter those extraneous fees. So you see we’ve come full circle. These on-line companies emerged initially because the realty companies became too greedy . These “new” companies with a different business model offered the marketplace what it wanted. So, now is the time to upend these on-line companies as they upended the realty companies. We believe that the market made up of renters wanting and willing to work directly with the owners, is still there. They just must find those groups who share that objective. 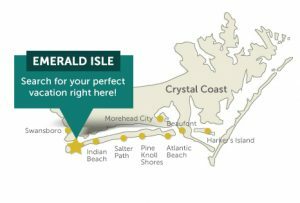 Thus, newly created regional websites,like,NC Beach Rental by Owner that markets homes, has risen to fulfill that demand. In a very real sense, we are just resurrecting a business model that was here and was successful for all interested parties. My plea is to ask those families to not give in to the dominating companies out there. Do not believe their pitch. There are many alternatives. We are an alternative. Work with us and we’ll continue to serve the needs of the sub segment of travelers who wish to know from whom they are getting their vacation homes. There is no substitute for direct contact between Homeowners and guests!